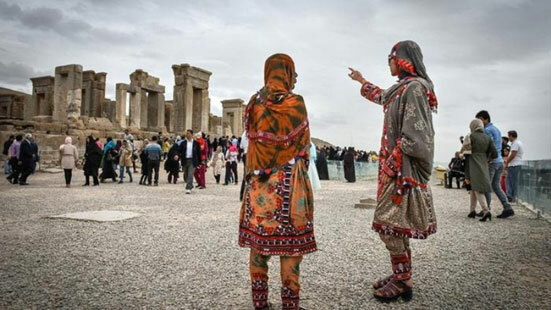 Tehran, March 20 – Norouz is the best ground for promoting coexistence among international ethnic groups, Iran's head of International Council of Museums (ICOM) said on Tuesday. 'Norouz is a celebration combined of human behavior and natural development, that belongs to no specific religion or culture,' Ahmad Mohit-Tabatabaie told the Islamic Republic News Agency (IRNA). ICOM is an organisation created in 1946 by and for museum professionals with the aim of fighting the illicit traffic of cultural goods, culture and knowledge promotion and protection of tangible and intangible heritage. It is also unique network of more than 37,000 members and museum professionals who represent the global museum community. That's why Norouz does not have any specific emblem, as its feature characteristic is ethnic and cultural diversity, he said. 'On Norouz table is arranged according to individual's taste, and everybody put what he or she is interested in,' he said, adding that some people put their beloved ones' photos and some have Haft-Sin. Norouz is celebrated as the first day of Perisan year (March 21) and the tradition which is originated from the ancient Iran is celebrated in eight other countries, namely Afghanistan, Tajikistan, Azerbaijan, Uzbekistan, Turkmenistan, Kazakhstan, Kyrgyzstan and Albania. Haft-Seen (the seven seen's), which is a tabletop (sofreh), is an arrangement of seven symbolic items traditionally displayed at Norouz. The haft-seen table includes seven items all starting with the letter Seen (letter) in the Persian alphabet, all of which represent important concepts in Persian culture.